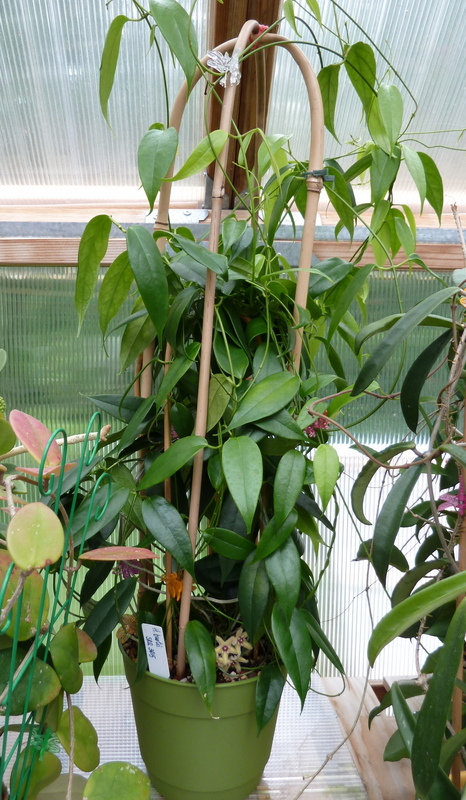 I receive Hoya buotii as a small rooted cutting in the early summer of 2012. It is an extremely fast, aggressive grower that I have had to re-pot every few months. If not re-potted regularly it dries out too quickly. My plant has put on many peduncles, but is far from an easy bloomer at this point. To date, my buotii has bloomed only one time so I continue to experiment to find the ideal combination of light, humidity and temperature to bring this lovely plant into bloom more often. 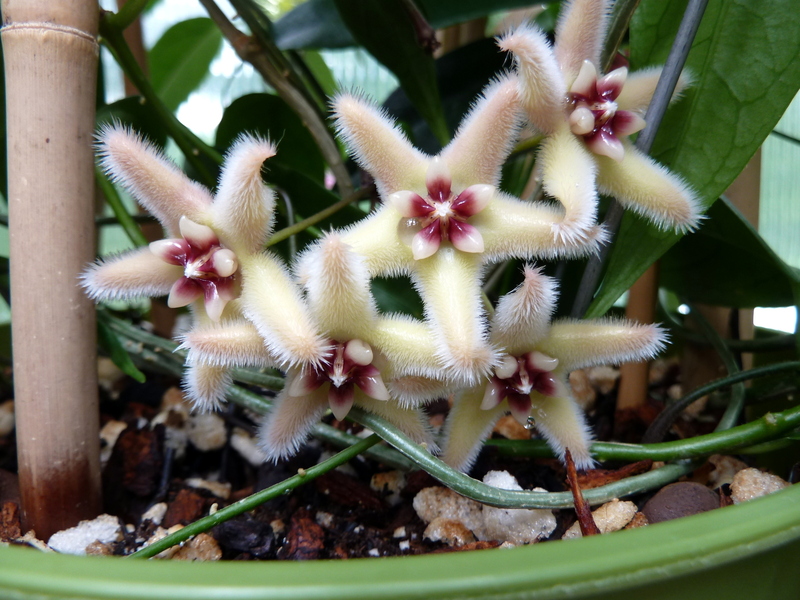 Hoya buotii is worth growing because of its outstanding fuzzy blooms, which last 7-10 days. 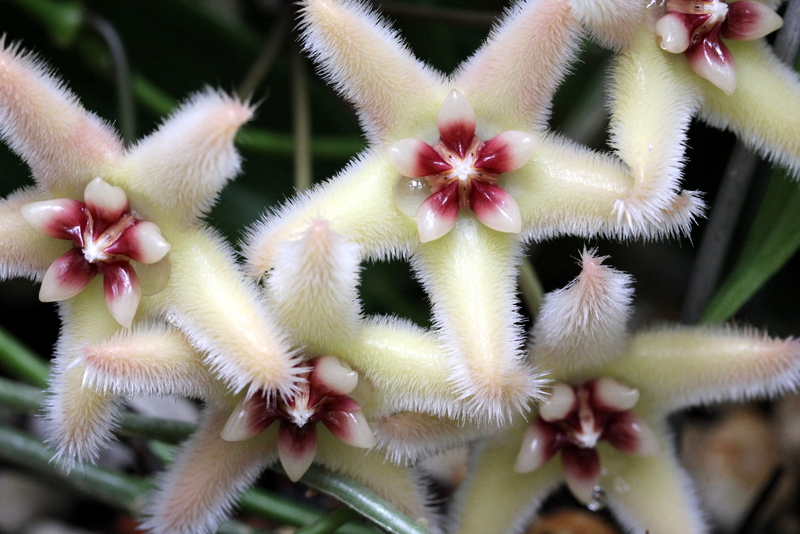 It is endemic to the Philippines, and I consider it a must have Hoya for the collector, and any tropical plant enthusiast. Hoya buotii – One Incredible Flower!